(APN) ATLANTA — The Atlanta Progressive News Board of Directors has endorsed Park Cannon in State House District 58, although noting two areas of disagreement, on cityhood and the role of nuclear power in the nation’s past energy mix. The Special Election is taking place on Tuesday, January 19, 2016. Cannon’s questionnaire responses were strong on several issues, including: transparency, adding a voter verifiable paper audit trail for E-voting, public education, medical cannabis, GMO labeling, campaign finance regulation, and early voting. APN’s Board expressed some concerns about Cannon’s questionnaire responses, including responses about public education, nuclear power, and cityhood. As for cityhood, Cannon wrote she was a “fan” of new cities in her questionnaire, but added in a follow-up conversation in that she is open to critiques of the rush to cityhood. As for public education, Cannon wrote she was a proponent of parental choice–which raised concerns about whether she supported charter schools, privatization, or vouchers–but Cannon stated in a follow-up conversation that she was quite opposed to charter schools, both for-profit and non-profit. As for nuclear power, Cannon stated she is opposed to nuclear power currently. In her questionnaire she states that she thought it was an appropriate alternative at the time–a point which we cannot concede, given Fukushima, Three Mile Island, Chernobyl; the draw-down of our water supplies; pollution of radioactive materials into the air, land, and water; evidence of increased cancer rates in areas closer to nuclear power plants; the exorbitant costs; the safety risks; the waste for which we still have no solution. Nuclear power was never an appropriate alternative. 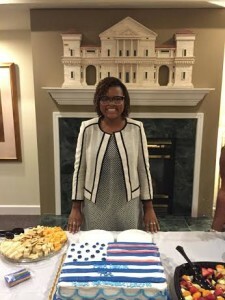 That being said, APN’s Board was also impressed with Cannon’s identification as a queer, feminist, and her endorsement from former State Rep. Simone Bell (D-Atlanta), who herself was one of the more progressive legislators in the House and who was a strong advocate for protecting public schools. While Cannon may not have been as knowledgeable on all the progressive issues of concern to our Board, we also thought it might be nice to have some more youthful energy in the Legislature. And Cannon promised to support transparency in House Committees by requiring the recording of all yeas, nays, and abstentions, in Committee votes, an issue that Atlanta Progressive News plans to highlight this year while the Legislature is in Session. We are concerned about former State Rep. Ralph Long (D-Atlanta) having paid numerous ethics fines for late campaign disclosures, and what appear to be four disclosures that have not been filed to date. Erica Long, Long’s wife and campaign manager, who also ran for the seat in 2014, said some of the disclosures were from a City Council race in which Long withdrew his candidacy, but this does not excuse the other two outstanding filings or the ongoing pattern of late filings. Candidate Kwame Thompson also had fairly good questionnaire responses, making him a good second choice to Cannon. But we had some concerns about Thompson’s responses. He did not really address the issue of nuclear power in his response. Like Cannon, Thompson also stated he supported school choice. Like Cannon, he also supported cityhood. In 2012, when then-Rep. Long and then-Rep. Simone Bell were drawn into the same district and ran against each other, APN endorsed Bell, because of Long’s support for the charter school commission referendum. In 2014, we declined to support either Rep. Bell or Erica Long, who both ran that year. We declined to endorse Rep. Bell because of her support for cuts to early voting. 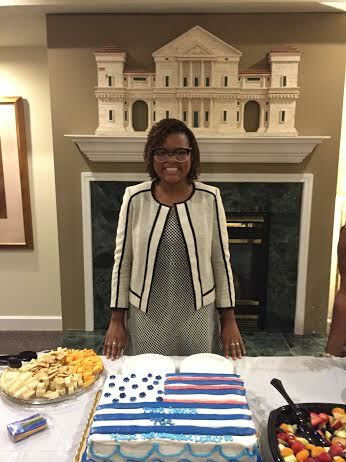 We declined to endorse Erica Long because of her supportive position towards charter schools. What is wrong with charter shools?